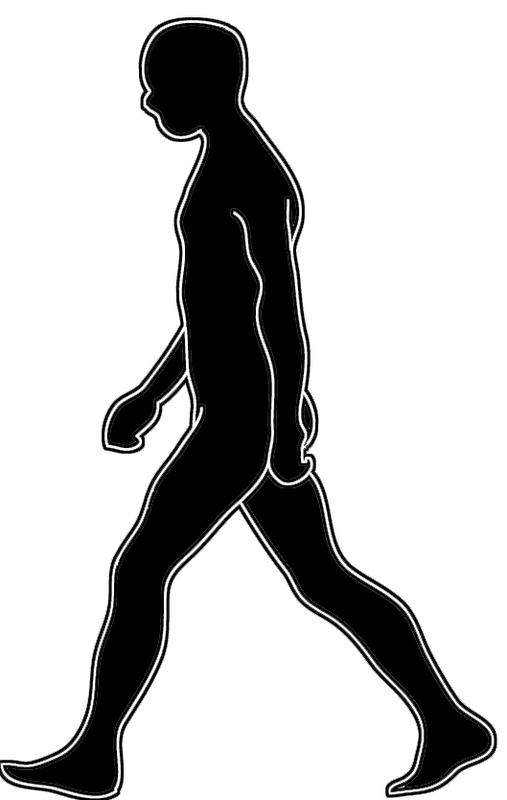 This page Body Silhouette is one of the many pages with free silhouettes you can find on my website. This page in the silhouettes section of my website, concentrates on the fine human form. 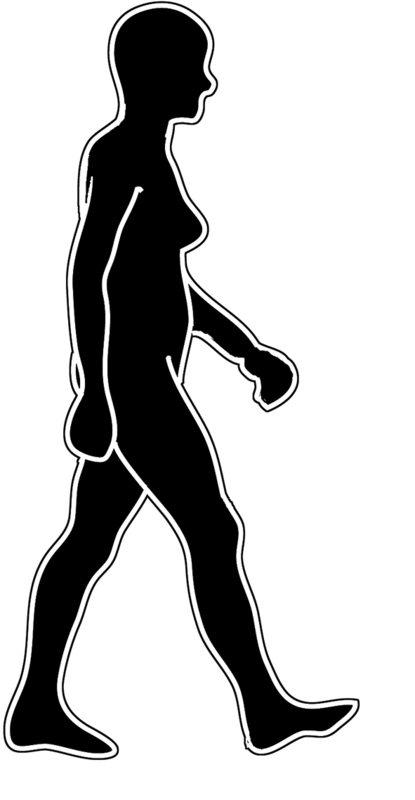 As well as body silhouette graphics, you will also find a few woman silhouette images, as well as silhouettes of a man. I have noticed, from looking around at some of the other brilliant websites with graphics, that finding images of the body is pretty difficult. While there are plenty of pictures of faces or cartoon type images of human beings, ones which concentrate on the body are few and far between. If you want an overview of all the pages with silhouettes, please visit the page called Silhouette Clipart, where you will find a short description of the different pages as well as a small picture. If you want to use some of my drawings, please go to Homepage where you can read about the two very, very simple rules for using my material. I want it to be easy for you to use my material, so there shouldn't be any problems. 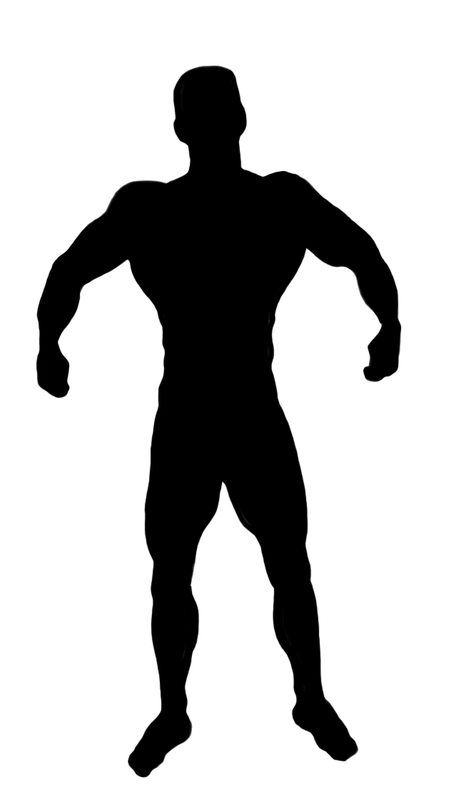 I have made these male silhouettes and female silhouettes so that you can see the shape of the body. 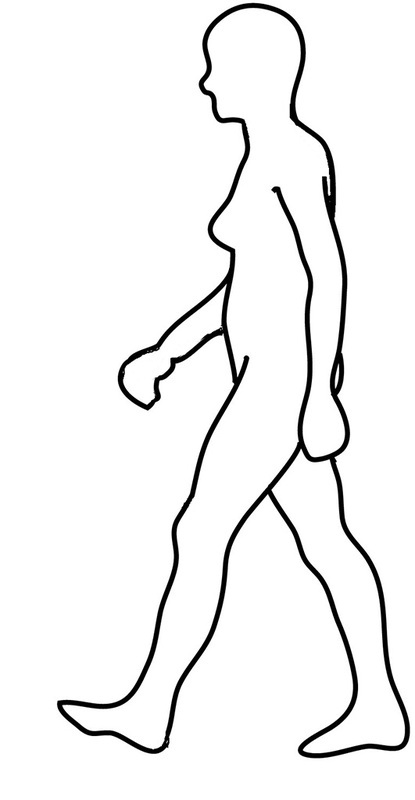 If you want to find silhouettes where you can see the clothes, you will find that on the pages with dancer silhouettes, silhouettes of people and female silhouettes. Please see the picture links below on this page for more silhouette pages. Kids of all ages will learn about the human body and its various skills at many different times during their education. 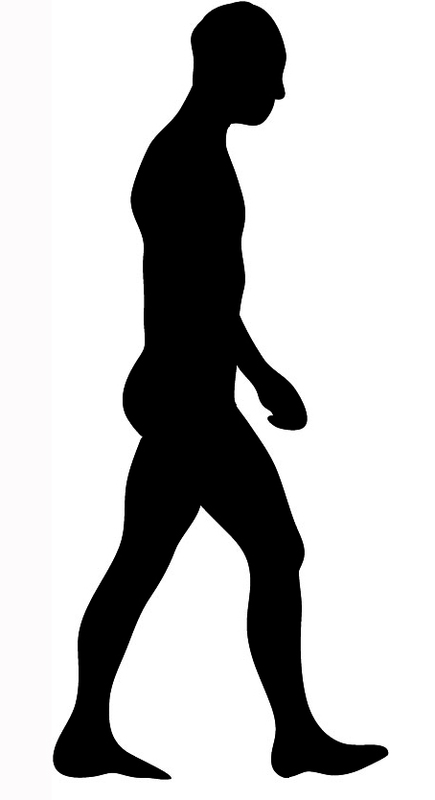 My body silhouette graphics allow them to make that human biology project a little more interesting. 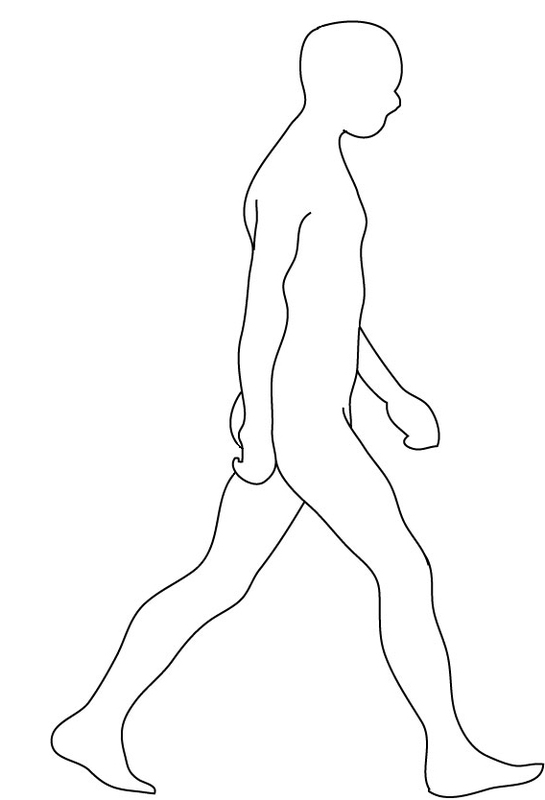 Whether it is to name the different parts of the body or using the man walking silhouette to explain how we can walk and maintain balance, using pictures will always help a child understand better. The quality of these images, many of which have been taken from a drawing coupled with the variety of stances available means there are plenty of things your child can use for any type of project. Whether it is the school classroom or your child's school books, the silhouette graphics in this section are great for adding a decoration with an educational feel. You could encourage children to make a collage based on the human body with all the different images. Adding facts about the different parts of the body will also combine a fun process with learning. Children will remember a lot more if they have had fun learning about it. Alternatively, you could spruce up the look, and life expectancy, of your child's school books, by covering them in silhouette images. As well as giving them something to do and looking really good at the end of it, your child will instantly know which are his books when homework is given out or returned. 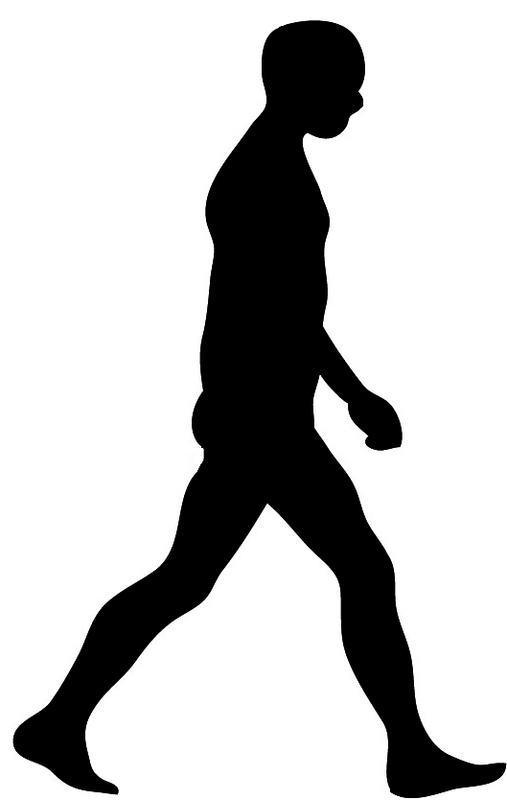 The woman silhouette and silhouette of a man images are particularly appropriate for educational projects -which can be completed at home as well as school remember. 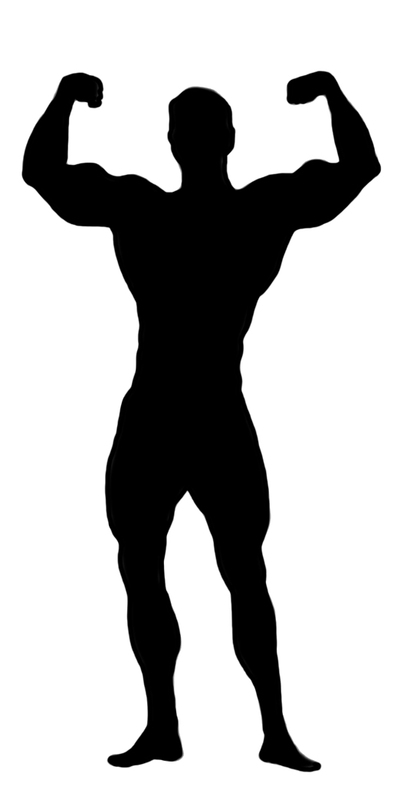 If you know someone who likes to keep fit and look after themselves, then making a birthday card using the body silhouette graphics on this page will enable you to give them something special for their birthday. 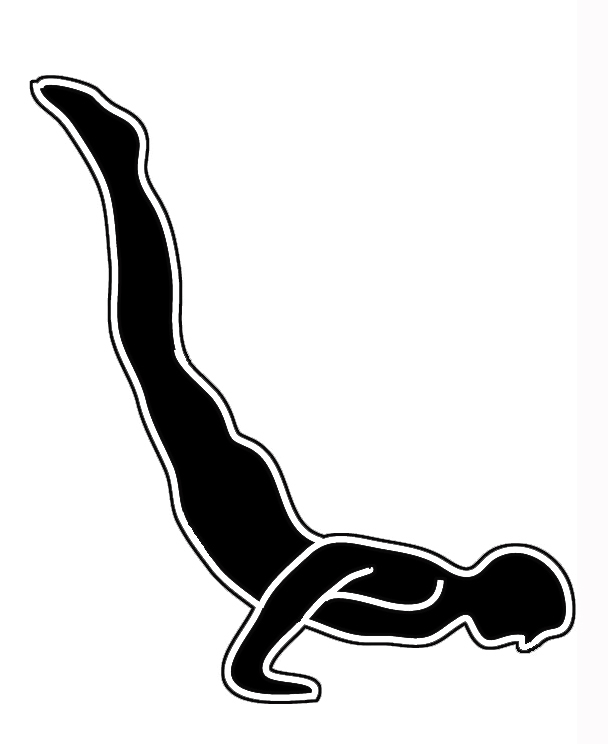 Whether it is the gymnastics silhouette or the man doing a handstand, simply stick your chosen image to the front of some blank card stock, team up with an appropriate verse, sentiment or quote and you have a handmade birthday card. Because my silhouette images are designed to print at optimum quality, you don't need to do anything with them to achieve a brilliant overall finish. However, if you did want to an extra sparkle to the card, you could use glitter, gel pens or sequins to decorate it further. One thing is absolutely certain, no matter what you do with the card, the recipient will most definitely not receive anything like it. If you have taken the time to make a handmade card for someone special, then you may as well take the extra fifteen minutes it takes to make a matching gift tag for any gift you may be sending. Simply choose an image from the gallery, you don't have to use the same one as you used for the card. Print it off at a reasonable size, this means a size that will allow you to write on the back of the tag. Cut out the silhouette image, making sure there are no sharp edges or corners. Using a hole punch or sharp pencil, make a hole at the top of the tag and thread through craft wool or string. You can then attach the tag to the gift as you normally would. According to Hallmark International, the UK's top seller of greeting cards, people are three times more likely to keep a handmade card than they are a card that has been bought from the shop. 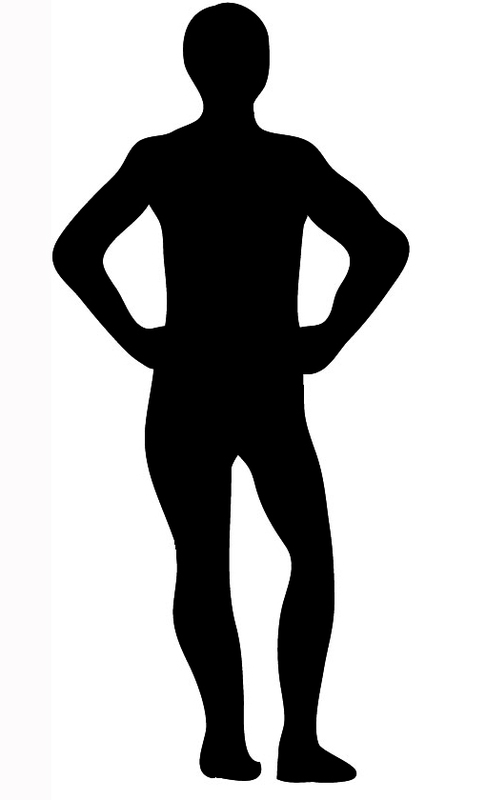 If you are looking for something original AND funny to add to your handmade cards and gift tags then using the body silhouette graphics can help you achieve both!. Choose which of the silhouettes you want to use and print and cut out as you normally would. Next you will need a print picture of the person who the card or tag is for, preferably one that has their entire head in it. 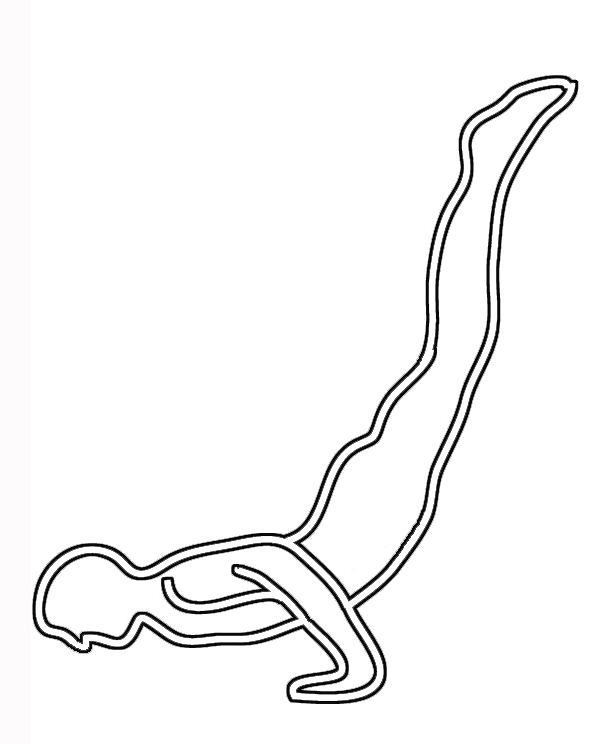 The idea is to stick their head, over the head of the body silhouette image. 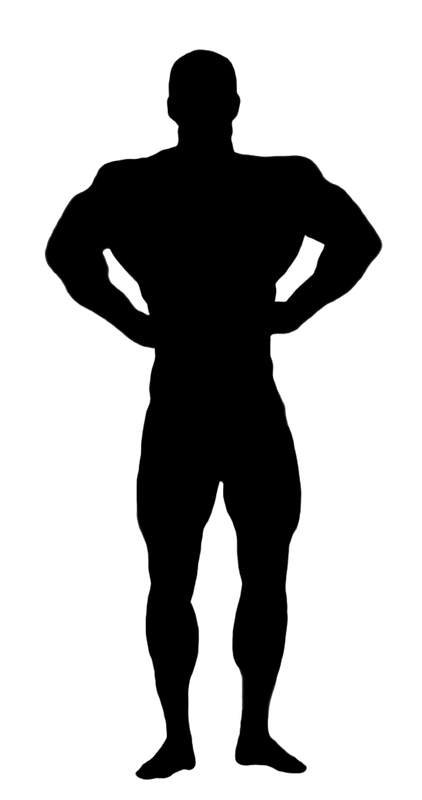 To achieve this, you may need to resize the picture on your computer so it is in proportion to the silhouette. 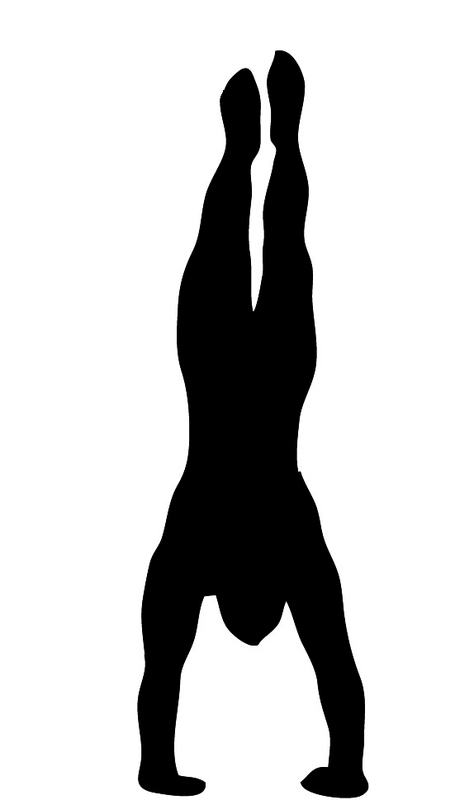 You can have some real fun with this idea, such as using the head of your grandmother on the gymnastics silhouette or using the head of your husband on the body builder silhouette. 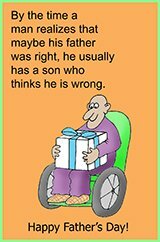 The end result is sure to get a few laughs and will be unique enough to ensure the birthday boy or girl doesn't receive anything similar. I hope you have enjoyed looking around my website, if you have I encourage you to add it to your favorite bookmarks so you can visit again in the future. While I actively encourage people to use my silhouette graphics in whatever way they please, I do ask that people read the very short and lenient usage instructions on my main page before doing so. These instructions help me keep offering my website and collection of graphics at no cost, something which is hard to find on the Internet these days. Silhouette Clip Art: This is the main page for all the silhouette pages here - with a great overview of them all as well as silhouettes of skylines and furniture. Silhouette Graphics: Different kinds of silhouettes like tree silhouettes, car silhouettes and cow boy silhouettes. 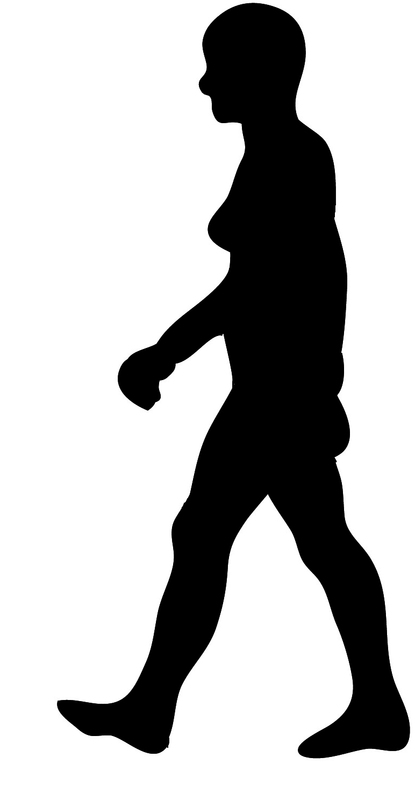 Face Silhouette Clipart: Head silhouettes of men, women and children. 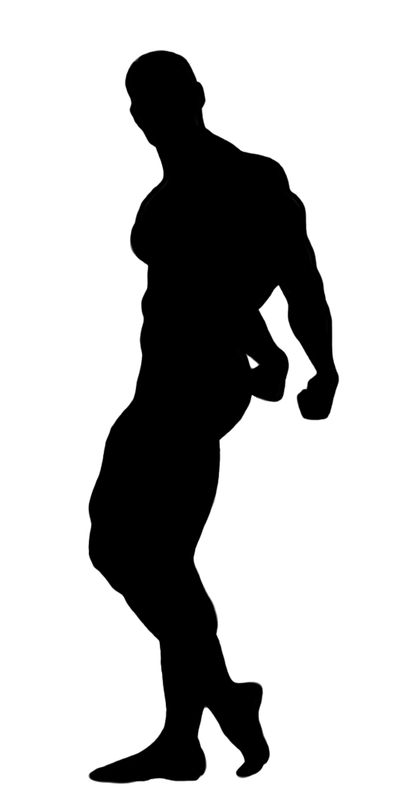 Sports Clipart: Has a lot of silhouettes of dancers, golf players, tennis players, people in martial arts etc.